Pseudo Echo pioneered the 80s with their stylised electro sound and look, establishing themselves as one of the most iconic, multi-award-winning and influential bands in the country. Since their worldwide smash-hit ‘Funky Town’, the band has released several studio albums including ‘Teleporter’, ‘Ultraviolet’ and more recently, ‘Live at the Viper Room’, recorded at the legendary Viper Room in LA. The band is back bigger than ever with an edgier look and sound, drawing in a new generation of fans and touring sellout shows nationally and internationally with the likes of Culture Club, Human League and Belinda Carlisle. 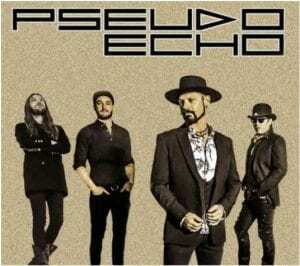 Catch the energy of Pseudo Echo performing all of their smash hits, as well as a mega mix extended version of their international smash hit ‘Funky Town’, back by popular demand for one night only at RSL Club Southport!